On 7 January 2015 District Judge Mort of the Court of Protection approved a £60,000 settlement agreement reached between Essex County Council and Mr P ( EWCOP 1). For a discussion of the case generally see Rosalind English’s post here. With a significant backlog of care home cases in the Court of Protection, P’s case runs the risk of becoming something of a precedent on the question of damages for unlawful detention. However, as far as calculation of damages goes, it is light on analysis of principle. This post seeks to explore whether the considerable case law that has developed on damages for false imprisonment in other situations may help illuminate what this type of case is worth. 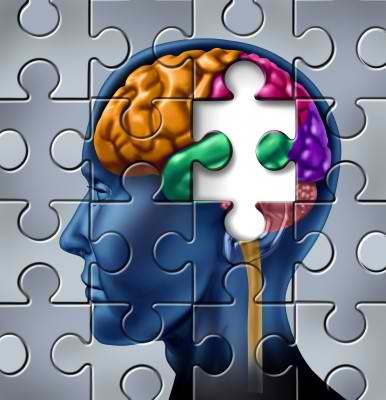 Upholding the rights of individuals who lack the mental capacity to conduct proceedings can be a minefield for the unwary or even, as shown by this case, the wary. The point at issue before the court was whether, where a party loses mental capacity in the course of proceedings, such loss of capacity has the automatic and immediate effect of terminating their solicitor’s retainer. This case, described by Cobb J as an “unusual and troubling” case, concerns a 1 year old girl “SB” and a woman “RCW”. SB was born prematurely, at 27 weeks, weighing just 1 kg; almost immediately she was abandoned by her natural mother. She spent many months in the Special Care Baby Unit. In October 2012 SB was matched with RCW, a single woman who worked as a project manager for the NHS. In January 2013 things took an “unexpected and wretched turn” in the form of RCW’s diagnosis with a brain tumour. Hurriedly, RCW made arrangements with a cohort of friends to care for SB while RCW underwent surgery to remove the tumour which was situated near the optic nerve. The operation, whilst successful in removing the tumour, left RCW without sight; it is not known whether the lack of sight is temporary or will be permanent. On 11 December 2012 Mr Justice Mostyn handed down judgment in J Council v GU and others  EWHC 3531 (COP) approving arrangements aimed at safeguarding the Article 8 (private and family life) rights of a 57 year old man detained under the Mental Capacity Act 2005 in a private care home. At seven pages, the judgment was admirably concise. The detained man concerned, referred to in the judgment as George, suffered from a number of separable mental disorders: childhood autism, obsessive-compulsive disorder, dissocial personality disorder, mixed anxiety disorder and paedophilia. He lacked the capacity to litigate or to make decisions concerning his care needs (including where he lives), medication he should take, contact he should have with others and about his finances, property and affairs. It was likely that this incapacity would continue, possibly for the remainder of his life. He lived in a private care home and it was agree by all, including the Official Solicitor (who represented George in the proceedings) that it was in his best interests for him to remain living there indefinitely. Furthermore, he should be subjected to restrictions in relation to his contact with others and correspondence in order to minimise the risks that he presented. An editorial article published in the British Medical Journal on 12 July 2012 (subscription required) has provoked controversy in right-to-life circles. The article, entitled “Sanctity of life law has gone too far” criticises the ruling of Baker J in the “M” case where an application to authorise the removal of artificial nutrition and hydration (ANH) from a patient in a minimally concscious state was refused. This blog reported on the M judgment in September 2011 here, here and here. Update | In an earlier version of this post a question was raised by the author concerning the implications of funding restrictions within the department of the Official Solicitor for cases similar to E’s. The author is happy to make clear that no criticism is made of the actions of the OS in this or indeed any other case in the judgment of Peter Jackson J or in this post. Mr Justice Jackson has ruled that it would be lawful and in the best interests of a 32 year old woman (referred to in the judgment as “E”) for her to be fed, using physical force or chemical sedation as necessary, for a period of “not less than a year”. The judgment has sparked considerable press attention, and is also reported to have drawn criticism from Rochdale Lib Dem MEP Chris Davies. Against that background, this post intends to offer a modicum of analysis as to what was decided, why and what lessons the case holds for the future. Sir Stephen Sedley, until last year of the Court of Appeal, has launched a stinging rebuttal to the speech of Lord Sumption (Jonathan Sumption QC as was) in which the soon-to-be Supreme Court Justice rebuked the judiciary for failing to stay out of the political arena. there is a repeated insinuation that judicial interference in the political process regularly occurs: ‘The judicial resolution of inherently political issues is difficult to defend.’ It is not only difficult to defend; it does not happen. How private are patients’ dental records? This is a case in which Philip Havers QC of 1 Crown Office Row appeared for the General Dental Council; he is not the author of this post. Mr Justice Sales in the High Court has ruled that the General Dental Council’s (GDC) use and disclosure of the dental records of fourteen patients of a registered dentist who was the subject of investigation was lawful. The court also offered general guidance about how the GDC may proceed (particularly by reference to Article 8 of the European Convention on Human Rights, the right to privacy and family life) when it wishes to investigate allegations against a dentist of impairment of fitness to practise by reference to confidential patient records in the absence of consent from the patients in question. On 13 October 2011 Mr Justice Supperstone in the High Court held that changes to rules for calculating housing benefit were lawful and in particular did not breach equality legislation. Two particular measures were under challenge. The first was the introduction of maximum weekly caps on the amount of local housing allowance (LHA). The second was the reduction of the maximum size in accommodation eligible for housing benefit from five bedrooms to four bedrooms. The High Court has dismissed Dr Raj Mattu’s claim that his dismissal by an NHS Trust was in breach of contract and in breach of his Article 6 right to a hearing before an independent and impartial tribunal. This is one of the first judgments on the applicability of Article 6 to disciplinary and dismissal proceedings since the decision of the Supreme Court in R (G) v X School Governors  UKSC 30 (read our post). Dr Mattu was employed by the Trust as a consultant in non-invasive cardiology and general medicine in 1998. In 2002 he was suspended on disciplinary grounds; however, the relevant disciplinary hearing did not occur until 2007 and the suspension was in place until July 2007. 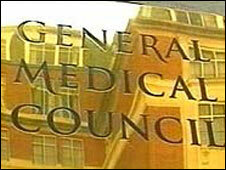 Further, Dr Mattu was on sick leave for at least a year from September 2006. This post was coauthored by Richard Mumford and Joanna Glynn QC. Kieran Coonan QC and Neil Sheldon of 1 Crown Office Row appeared for the claimant in this case. On 21 June 2011 the Divisional Court held to be “irrational and … a breach of the Claimant’s Article 6(1) right to a fair hearing” a decision by the Fitness to Practise Panel of the General Medical Council to admit hearsay evidence under its own rules, having determined that such evidence would not be admissible under the criminal rules of evidence . Professor Bonhoeffer, described in the judgment as “an eminent consultant paediatric cardiologist of international repute”, was charged by the GMC with impairment of his fitness to practise arising from alleged serious sexual misconduct towards boys and young men in Kenya. It was alleged that over a number of years the Claimant travelled to Kenya to undertake charitable medical work and that the victims were children and young men to whom he had provided sponsorship by paying for their education and accommodation. 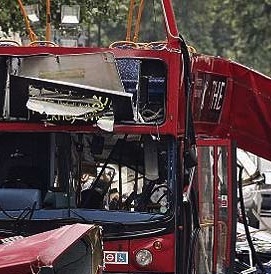 On 30 November 2010 the High Court handed down its written ruling upholding the 7/7 inquests Coroner’s decision that there were to be no ‘closed’ hearings at the inquests. An analysis of the Coroner’s decision can be found here. The High Court had previously given its decision, with an indication that reasons were to follow. The Divisional Court of the High Court, composed of two colleagues of the Coroner (Dame Heather Hallett) in the Court of Appeal, robustly rejected the Home Secretary’s application for a review of the decision. In short, both judges concurred with Hallett LJ’s decision that the Coroners Rules did not provide a power to hear evidence in sessions from which ‘interested persons’ (including families of the 7/7 victims) could be excluded. Updated | On 3 November the judge acting as coroner for the 7/7 inquests ruled that she does not have the power to hold secret hearings to hear evidence which, if made public, would pose a threat to national security. Dame Heather Hallett also ruled that although she, as a Court of Appeal Judge, could look at ‘intercept evidence’ governed by the Regulation of Investigatory Powers Act 2000 (“RIPA”), such material could not form part of the evidence at the inquests.